Senate magistrates have expressed their rejection of Microsoft's position. Responding, in this way, to the affirmations before the exigencies of the Government and considering it extraterritorial act, the judge John Roberts expressed his preoccupation by a possible legal emptiness. In his opinion, there is nothing that serene Microsoft to store American emails in Canada, Mexico or anywhere and then to tell their customers that if the Government wants or needs to access their communications, they can´t do so. Likewise, Samuel Alito Jr. insisted that there is no way for the United States to obtain the information of a US citizen who is going through an investigation and has information stored on a server abroad, except through judicial cooperation with another country. , which could be maintained months or perhaps years. The Supreme Court attended the arguments of an altercation between the US Government and Microsoft about the emails of a drug trafficker, kept on a server in Ireland. Reason why digital privacy again puts the United States Government in trouble. The Executive claims by judicial order to acquire the information as part of a criminal investigation, however, the technology is resistant, because the US law does not allow a transfer of data stored abroad. The case is undoubtedly an obvious example of the need to pass and renew laws that adapt to the digital age. For the first technology companies, the first thing is to ensure that their users trust in the protection of their personal information, which can put their success at risk. In this case, it is data stored in Ireland. Microsoft and other companies fear, too, that other countries close their doors for fear that they will reach to confer information about their citizens. For governments like the US, whose daily work depends on telephone conversations, emails, and messages to investigate crimes and possible threats, national security is positioned at a higher level. 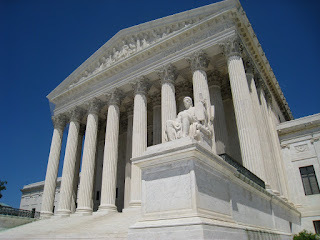 Among the nine officials of the Supreme Court there is no unanimous opinion. Some supported the Government's position while others emphasized the preference that it be the Congress that amend or approve the laws that serve as a guide for this type of altercations, recurrent in recent years in the United States. The norm that the Government will use to request the judicial order is the Stored Communications Law, approved in 1986, before the problems arising from the massive use of technology arose. The law does not manage to be used for this information filed outside the US borders. The Government, for its part, safeguards that since Microsoft's headquarters is in the United States, the standard can be applied. According to the progressive judge Ruth Bader Ginsburg, who questions the authority of the government, believes that there are computers in Ireland that get to send data and emails to the United States, information that will arrive via a transatlantic cable to the country. On the other hand, the conservative magistrate chosen by Donald Trump Neil Gorsuch, expressed his skepticism, adding that evidently there is a chain of activities required in the matter.